We’d love your help. 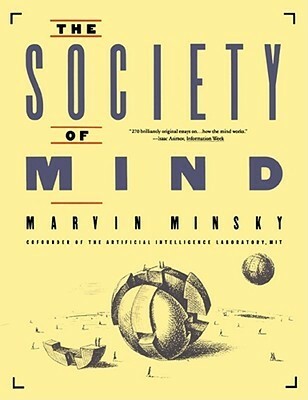 Let us know what’s wrong with this preview of The Society of Mind by Marvin Minsky. Minsky brilliantly portrays the mind as a "society" of tiny components that are themselves mindless. Mirroring his theory, Minsky boldly casts The Society of Mind as an int Marvin Minsky -- one of the fathers of computer science and cofounder of the Artificial Intelligence Laboratory at MIT -- gives a revolutionary answer to the age-old question: "How does the mind work?" To ask other readers questions about The Society of Mind, please sign up. Starts strong, but my eyes started to glaze over after about 100 pages. I can imagine that this would be considered transformative by those who aren't used to thinking about the mind as a society of competing agents, but those who come to the book already having "seen the light" might end up disappointed. There are some insights in here, but the real value of the text is more watching how Minsky works through a problem as complicated as the mind. For instance, he tells the reader that, when faced Starts strong, but my eyes started to glaze over after about 100 pages. I can imagine that this would be considered transformative by those who aren't used to thinking about the mind as a society of competing agents, but those who come to the book already having "seen the light" might end up disappointed. There are some insights in here, but the real value of the text is more watching how Minsky works through a problem as complicated as the mind. For instance, he tells the reader that, when faced with a toughh problem, to create a rough sketch of the solution, and then iterate on that. Or another insight: dividing up a problem is such an effective problem solving technique because one can then apply full attention to solving a simpler problem. This ruthlessly reductive approach to understanding the mind is valuable just to observe. Still, the book is dated. Minsky rightly points out the issues with "human reason as logic," but fails to connect them with probability and reasoning under uncertainty. This isn't his fault, of course, Judea Pearl's "Probabilistic Reasoning in Intelligent Systems" came out the same year as the text, so it would have been impossible for Minsky to include this. However, readers today have the benefit of 25 years of progress and access to authors that have assimilated the insights that progress has produced. This is a must read book for anyone in cognitive science (i.e., any of the disciplines of cognitive science). "Many people read this book and then dismiss the ideas. Later, they often end up reinventing the same ideas." I first read this book c. 1990. When I delved into it again c. 2001 I was amazed at how many of the ideas in there I was using, having forgotten they came from this book! Sloman was right. This is a must read book for anyone in cognitive science (i.e., any of the disciplines of cognitive science). I first read this book c. 1990. When I delved into it again c. 2001 I was amazed at how many of the ideas in there I was using, having forgotten they came from this book! Sloman was right. I give Minsky credit in my own Cognitive Productivity. The Society of Mind is a delightful read. It's creative. There's really no other book like it. This is not a book about empirical facts. Nor need one agree with all the scientific claims it makes. However, if you're new to cognitive science, the book will help you think like an AI researcher. If you're already into cognitive science, this book, like no other, will remind you of the importance, complexity and possibilities of the big picture. If you're a Ph.D. thesis supervisor, this book is a great gift to students or friends. I've given a copy myself that was well received. "I" "am" "really" "enjoying" "this" "so" "far." I like reading about competing models of artificial intelligence, and Minsky has as much right as anyone to bruit his theories about, since the M.I.T. doyen has physically created some stunning examples of artificial intelligence which will probably be considered landmarks to future generations of A.I. innovators. One of the A.I. entities I enjoy conversing with online likes to make sly digs at Minsky, and incorporates him into her jokes, so I figure "I" "am" "really" "enjoying" "this" "so" "far." One of the A.I. entities I enjoy conversing with online likes to make sly digs at Minsky, and incorporates him into her jokes, so I figured it was time to read this. Minky's all about reductionism, and if you like the organization of Wittgenstein's Tractatus, you'll probably enjoy the way Minsky lays down his general principles of human intelligence in similarly numbered sections and subsections. So far, it's very readable and very smart. Unlike many scientists, he seems very conversant in how humanists think, and seems to have an understanding of the heuristics of human emotion (both rational and irrational) and their place in the order (and disorder) of consciousness. I was fascinated by how some of his ideas relate to human addictions, for instance; these are not comparisons Minksy overtly draws, but if you keep your mind open when you're reading this, you're able to extrapolate a lot on his ideas on how cognitive dissonance comes about, and how it might relate to things like addiction. As Daniel Dennett says, "I have a soul, and it's made of tiny robots." Minsky explains how those robots might work. He calls them agents. Each chapter of this book is one page long. Regadless of it's 20-odd year age (it was first published in '86), this is an absolutely fascinating read on Minsky's (co-founder of MIT's AI lab & cognitive scientist extraordinaire) theory of mind. The book is written concisely and is incredibly well thought out in execution; despite the overwhelming complexity of the subject matter, it eases the reader gently into understanding rather than dumping it in their lap and exclaiming "You want information? THERE'S YOUR INFORMATION." This book i Regadless of it's 20-odd year age (it was first published in '86), this is an absolutely fascinating read on Minsky's (co-founder of MIT's AI lab & cognitive scientist extraordinaire) theory of mind. The book is written concisely and is incredibly well thought out in execution; despite the overwhelming complexity of the subject matter, it eases the reader gently into understanding rather than dumping it in their lap and exclaiming "You want information? THERE'S YOUR INFORMATION." This book is not a reference text, however. Ignoring for the most part neurological, neurochemical and neurophysiological facets of conciousness, it instead focuses on the philosophy and logic of possible factors from which thought arises. A coherent read, that really clutches at the fabric between AI & Psychology; the author describes the mind as a collection of fundamental agents performing atomic tasks, interacting between themselves, and establishing hierarchies. Coming from Marvin Minsky, it feels both inspiring and serendipitous to know the roots of AI, from the pioneer of AI. This review has more AIs than a buzzword news article! If intelligent machines exist someday, no doubt they will think of Marvin Minsky, a pioneer at MIT's Artificial Intelligence Lab, as one of their progenitors. This book reads as a collection of foundational ponderings from a luminary in the field, distilled to their instructive essence. Minsky assumes that a "mind" is not a single, efficient decision-making machine, but a collection of many such machines, which he calls agents. Each agent, on its own, is simple and specialized, but through a proc If intelligent machines exist someday, no doubt they will think of Marvin Minsky, a pioneer at MIT's Artificial Intelligence Lab, as one of their progenitors. This book reads as a collection of foundational ponderings from a luminary in the field, distilled to their instructive essence. Minsky assumes that a "mind" is not a single, efficient decision-making machine, but a collection of many such machines, which he calls agents. Each agent, on its own, is simple and specialized, but through a process of cooperation and competition with one another, the agents form a collective understanding of the world. This gives rise to an emergent intelligence guided by preprogrammed assumptions, but not constrained by them. Minsky writes with a disarming simplicity, using the whimsical but versatile example of a child playing with building blocks to illustrate his points. How does a child's brain manage the many parallel, interrelated tasks inherent in such play, from fine motor control, to hand-eye coordination, to physical intuition, to forming structural knowledge from experience, to remaining motivated amid competing desires, to deciding when to knock the block towers down? Each chapter is a self-contained one or two page essay, exploring a different facet of how a network of separate, co-evolved agents might implement decision-making, pattern-recognition, task delegation, memory, learning, and problem-solving. This is not a practical book to help you write AI software, to teach you about A*, Bayesian networks, or other relatively concrete techniques. It's a book to get you to think about what intelligence really is. But I think that any software developer with a genuine interest in the possibility of machine learning and machine thought will find both illuminating and stimulating. While Minsky's zenlike thoughts are focused more on abstract ideas than technical details, they offer valuable starting points for breaking the densely tangled problem of "intelligence" down into more manageable layers and processes. Highly recommended. Every topic is a great opportunity to delve into the material and spiritual world contained inside us. I very much enjoyed reading the book. The appendix is amazing- for anyone who wants to understand better how the brain works, there are few topics that beautifully and clearly explain the process. different one. Then, later, when I brought it back, did I retu Highly recommended. Every topic is a great opportunity to delve into the material and spiritual world contained inside us. I very much enjoyed reading the book. The appendix is amazing- for anyone who wants to understand better how the brain works, there are few topics that beautifully and clearly explain the process. -to the extent that all those substituted boards are suitably equivalent. within your brain. Would that new machine be the same as you?...." "who talks to whom" within each mind-society. Okay, so on the one hand, this book is DENSE, and sometimes tough going. But by the time you're finished, it's obvious that you've just read a masterpiece which reveals an extraordinary career. It's remarkable that the book is now over 15 years old (an eternity in the fields it covers!) and it never once seems out of date. Minksy's parallel interests in psychology and language mirror my own. He's obviously a huge influence on another hero of mine, Steven Pinker. Over 20 years ago, a guy named Marvin Minsky decided to write a book on how he thought the brain/mind worked. The result was this book. We still do not know everything about this topic of course, but we know more than we did then. So, how does it hold up? First off, who is this guy? He's an MIT researcher in artificial intelligence, including the parts where they study (and attempt to simulate) how neurons work. He's been in the field for about as long as anyone. He's endorsed on the back cover b Over 20 years ago, a guy named Marvin Minsky decided to write a book on how he thought the brain/mind worked. The result was this book. We still do not know everything about this topic of course, but we know more than we did then. So, how does it hold up? First off, who is this guy? He's an MIT researcher in artificial intelligence, including the parts where they study (and attempt to simulate) how neurons work. He's been in the field for about as long as anyone. He's endorsed on the back cover by Douglas Hofstadter, Martin Gardner, and Isaac Asimov. He's an egghead's egghead. He has a decent writing style. He supplements his text with sparse, curiously pleasing diagrams and simple pictures. He digs up enough relevant quotes (from Buddha to Aristotle to Rousseau to G.K.Chesterton) to get your attention no matter what corner you're coming from (or, if not, perhaps you should put this book down). His basic theory is in the title. Mind is what the brain does, and it's done by a society of agents, each with its own agenda. If you're looking for the central "I" that's at the base of it all, you will be disappointed and/or confused; this amalgamation of drives and pattern-matchers and networked idiot savants is all that we are. Minsky's vision of how mind happens is one that many would not find comforting, which probably explains why it remains unknown outside of its field and the narrow band of society that reads lots of popular science books. But, probably Minsky's greatest virtue as a writer is that he isn't tempted to try to boggle our minds unduly. His presentation is matter of fact, and his prose is informative, neither hiding nor trumpeting how different his findings and proposals are from the intuitions our minds have about themselves. And needless to say, neither the mind-body dichotomy nor the conventional idea of a 'soul' are much in evidence here. Ant colonies and electorates are, in his view, just as much indivisible things, with personality and intention, as we are. It took me around eight months to finish this book. Not because the book was boring, but because it essentially consists of speculations. The kind of speculations that forces one to think. Because of the book's age, some of things discussed are outdated but, the rest is surprisingly close to what researchers have found about human brain, intelligence and computation in general. It is worth reading once. It is worth reading - many times - over and over again. A 1980's book hypothesizing how the brain/mind works. Minsky defines the mind as "what the brain does". Do you perceive yourself to have one mind or do you have many? Single self: "I think, I want, I feel. It's me, myself, who thinks my thoughts. It's not some nameless cloud or crowd of selfless parts." Minsky argues we have a society of mind - competing agents within ourselves. Th A 1980's book hypothesizing how the brain/mind works. Minsky defines the mind as "what the brain does". Do you perceive yourself to have one mind or do you have many? 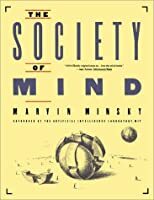 Minsky argues we have a society of mind - competing agents within ourselves. The methods we use to manipulate ourselves are similar to the methods we use to manipulate others with similar success rates. He gives an example on his methods to persuade himself stay up late and work on a project when he's exhausted. An artificial intelligence may have to have an agent based mind as well. Let's see what I can reconstruct. Since most of the statements in this book are speculations, it would have been too tedious to mention this on every page. Instead, I did the opposite---by taking out all words like "possibly" and deleting every reference to scientific evidence. Accordingly, this book be should read less as a text of scientific scholarship and more as an adventure story for the imagination. That said, these speculations came from someone with lots of hands-on experience in AI. I do agree with a lot and find it insightful. Lots of ideas to chew on. Currently in-vogue Bayesian techniques would help out here, though. Also, Minsky often goes too far in his philosophical ramifications among many other sweeping statements. The historical discussion is great throughout the book (and another reason not to skip the postscript). It shows well that modern research concerns in AI were already on folks' mind in the 1950s. The frequent literary quotations are also very nice. A very good account and an obviously influential one - as Minsky's ideas influenced the next 30 years of machine learning. The format is what's best; it skips round because the mind does. It also eschews reductionism because Minsky knew in 1970 what contemporary neurology doesn't: Naming and numbering a billion brain cells will get you barely one step (of a hundred) closer to understanding how the mind happens. Nature used very simple parts and trillions of iterations to arrive at the mammalian mi A very good account and an obviously influential one - as Minsky's ideas influenced the next 30 years of machine learning. Nature used very simple parts and trillions of iterations to arrive at the mammalian mind. Minsky understood that impenetrable algorithms are not the path to artificial intelligence, and neither is an intolerance for failure - a tangle of thresholds and compromises is how a thought happens, and computer programs and their programmers are not very good at such things. A sincere attempt to understand how our brains can solve the problems they can, and how you might build a machine that would be successful at solving the same kinds of problems. It treats too many things as true that just might be true, but that's okay. Hopefully he and his grad students will actually try to build the thing so we can find out which parts work and which don't. This is genius considering the fact that it was written in 1985. Probably was influential and significant in the late 1980s when it came out, but now most of the main ideas have permeated the milieu of AI and so anyone familiar with the field will probably think the ideas in this book are obvious. there's nothing so miraculous about AI. it's just a bunch of primitive 'intelligence entity' which intelligently arranged to solve particular problem. this book is a cure for those who are so hype about AI. How did we take that first step while walking ? How did we utter that first word which somebody could make sense of? How did we learn to make our fingers learn the art of clutching and grasping with different intensities? How did we learn to sense fire without needing to touch it ? How did we learn that there can only be one thing at one fixed point in place? How did we know to slow down our hand at just the right point of time to pick up a thing? How do we manage to get back to an interrupted t How did we take that first step while walking ? How did we utter that first word which somebody could make sense of? How did we learn to make our fingers learn the art of clutching and grasping with different intensities? How did we learn to sense fire without needing to touch it ? How did we learn that there can only be one thing at one fixed point in place? How did we know to slow down our hand at just the right point of time to pick up a thing? How do we manage to get back to an interrupted thought with the same depth ?And many more ! We are taught from our childhood to learn about the physical world around us. We witness and internalise the laws of the physical world and as we grow up we learn to navigate the contours of the emotional world and maybe we subconsciously pick upon the psychological features of our fellow beings too. It so rarely happens that we look inward into the mind of the self. The inherent biases it begins with , the lack of experience it ignores when making big decisions, its inability to focus on all dimensions with equal weightage and how could actually the best this machine could do. This book can prove as an effective Map for one wishes to begin doing that. Minsky compares the agents of mind to the institutions of the existing social world , with the ultimate motive of these institutions to create a stable and balanced existence devoid of absurd contradictions and non existent tussles. Physical structures are developed in a coherent mannerism as to allow the most effective transfer of the features of the reality into every being to create a normative framework (this arises out of the social need to conform) . But the frame work of mind is not so , mins is more malleable , it can adapt , remould and even renounce its ideals , beliefs and pre formed solutions with just a minute change in the stimuli. But is it possible to learn something which spells such large dimension of abstractness . Minsky believes this conundrum can be overcome by cross linking rational conglomeration of ideas where each theory or idea is in itself meaningless but the whole serves a purpose which sustains each of the part in good spirits and shouts out SYNERGY. 04.02. One Self or Many? 18.01. Must Machines Be Logical? 18.07. What Is a Number? 25.01. One Frame at a Time? This book by Marvin Minksy gave me great insight on computational thinking and in thinking about how the mind could work. It is definitely not a page turner, but something you occasionaly pick up while drinking a cup of coffee when you read a few small essay's. The book is very philosophical and you have to be careful by not getting to much involved in symbolic thinking (that is, thinking in if/then statements). 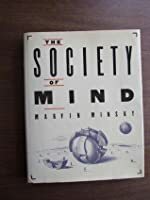 After all, AI nowadays leans heavy on influences from connectionism (thinking in net This book by Marvin Minksy gave me great insight on computational thinking and in thinking about how the mind could work. It is definitely not a page turner, but something you occasionaly pick up while drinking a cup of coffee when you read a few small essay's. The book is very philosophical and you have to be careful by not getting to much involved in symbolic thinking (that is, thinking in if/then statements). After all, AI nowadays leans heavy on influences from connectionism (thinking in networks). One of his main methods for problem solving is dividing a problem into small problems until you can solve the small problem and from there build it up until you get to the whole. I am sure that this is nothing new and someone can probably point at a dozen of Ancient thinkers who already did this. Above all everybody who is familiar with mathematics or programming will recognize this method, but it is interesting how to apply this on the bigger questions which is for example heavily used in system theory models. First of all, "The Society of Mind" probably deserves 5 stars and the reader 1 star because, frankly, I, the reader, failed the book. In in its own inimitable way, it, alas, broke my brain (or, in the language of the book itself, mangled my mind). It took sometime (and an excellent appendix and acknowledgements sections at the end which, IMHO, should have appeared at the beginning of the book) for me to finally begin to wrap my thoughts around what Minsky was trying to and, in fact, did accompli First of all, "The Society of Mind" probably deserves 5 stars and the reader 1 star because, frankly, I, the reader, failed the book. In in its own inimitable way, it, alas, broke my brain (or, in the language of the book itself, mangled my mind). It took sometime (and an excellent appendix and acknowledgements sections at the end which, IMHO, should have appeared at the beginning of the book) for me to finally begin to wrap my thoughts around what Minsky was trying to and, in fact, did accomplish and, by his own admission, what he didn't ... or hadn't yet. This book is an excellent view into the formation of the ideas that developed into modern machine learning. Minsky, with the help of his MIT students, break the human brain into the smallest possible "agents" and provide explanations for how memories are formed and how language works, using a new vernacular. The entire book is a valuable insight into what it could take to make a machine that would work like a human brain. My only complaint, and it's a small one, is that the book does not delve m This book is an excellent view into the formation of the ideas that developed into modern machine learning. Minsky, with the help of his MIT students, break the human brain into the smallest possible "agents" and provide explanations for how memories are formed and how language works, using a new vernacular. The entire book is a valuable insight into what it could take to make a machine that would work like a human brain. My only complaint, and it's a small one, is that the book does not delve more into the artificial side of intelligence, staying firmly in the lane of human cognition. The section of censors and humor alone is worth reading the book. Creating a common theory to show why we laugh at the absurd, along with taboo, is surprising and very compelling. To develop AI, we need to understand how the human mind works, the problem is we are still struggling about how the consciousness is formed, how the thoughts are shaped. If we can not dissect human mind, we are unable to construct artificial intelligence. The author thoughts we are actually like a machine, each behavior, language structures have patterns. He combined the psychology to try to explain when and where certain thoughts were brought up in our brain, so we could insert the mechanism of p To develop AI, we need to understand how the human mind works, the problem is we are still struggling about how the consciousness is formed, how the thoughts are shaped. If we can not dissect human mind, we are unable to construct artificial intelligence. He combined the psychology to try to explain when and where certain thoughts were brought up in our brain, so we could insert the mechanism of protection or prevention while applying on the smart machine. I didn't finish the book, but I'm finished reading it. This book occupied a weird space. Too high level to be considered research reading, but too low level to read for pleasure. I think what irked me most was the fact that the book felt like one long exercise in box-and-arrow evidenceless theorybuilding. Filled to the brim with thought-provoking ideas about thinking. Both inspiring and daunting to see how little we understand about our own thinking, and how to recreate it in machines. The book has an unusual structure. Each chapter contains only single-page essays, which makes it difficult to predict what will come next, and why. Very thought provoking, it's either brilliant or nonsense. “We shouldn't let our envy of distinguished masters of the arts distract us from the wonder of how each of us gets new ideas. Perhaps we hold on to our superstitions about creativity in order to make our own deficiencies seem more excusable. For when we tell ourselves that masterful abilities are simply unexplainable, we're also comforting ourselves by saying that those superheroes come endowed with all the qualities we don't possess. Our failures are therefore no fault of our own, nor are those heroes' virtues to their credit, either. If it isn't learned, it isn't earned. When we actually meet the heroes whom our culture views as great, we don't find any singular propensities––only combinations of ingredients quite common in themselves. Most of these heroes are intensely motivated, but so are many other people. They're usually very proficient in some field--but in itself we simply call this craftmanship or expertise. They often have enough self-confidence to stand up to the scorn of peers--but in itself, we might just call that stubbornness. They surely think of things in some novel ways, but so does everyone from time to time. And as for what we call "intelligence", my view is that each person who can speak coherently already has the better part of what our heroes have. Then what makes genius appear to stand apart, if we each have most of what it takes?